Venison, the new it meat! Michelin starred Chef Brad Farmerie is a fan of New Zealand Venison. 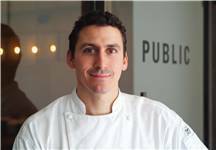 A regular visitor to New Zealand, Chef Farmerie, always uses New Zealand venison on his menus at Public-NYC .